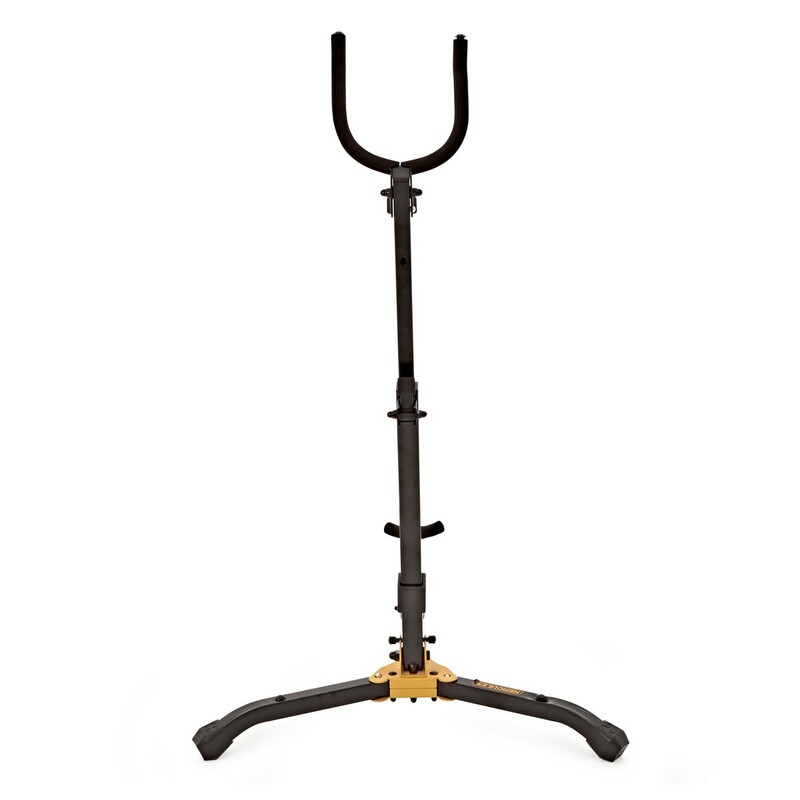 The Hercules Baritone Saxophone Stand is incredibly sturdy and can be adjusted with ease. 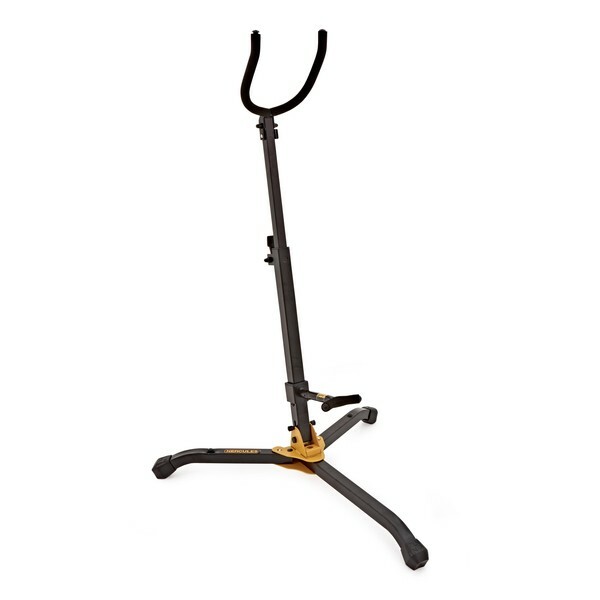 Both the backrest and overall height of the stand can be easily adjusted with the stand's adjustment levers, which simply flip up to unlock and down to lock in place. 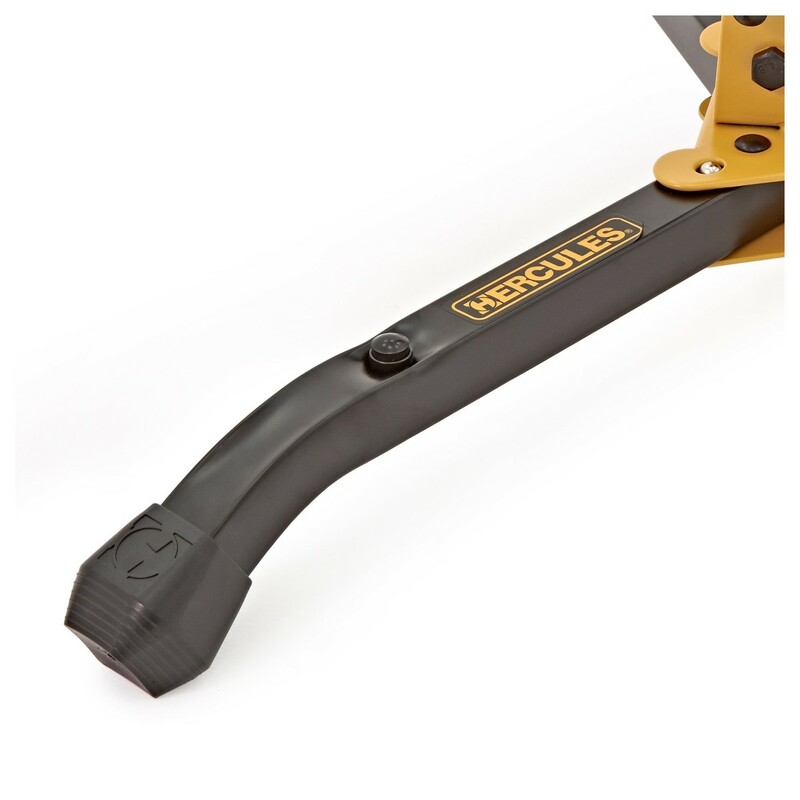 The peg hole on the leg means that you can add one of Hercules' separate instrument pegs for storing another instrument without sacrificing any more floor space.